Tennessee/Virginia Scholars, a program of the Kingsport Chamber, is a regional rewards and recognition program for high school students sponsored by local business and industry. There are eight participating schools, representing Kingsport City, Sullivan County, Hawkins County and Scott County, Va., systems. Primary program sponsors of this effort are Eastman and BC Realty. The first class of TN/VA Scholars, 194 students total, graduated in 1994. Each year 400 to 500 students graduate from the program better prepared for college and the workforce. In 2017, the program celebrated its 23rd year. During the past twenty-tw years more than 10,000 students have graduated as TN/VA Scholars. The program has the potential to reach over 2,000 students per graduating class. TN/VA Scholars are high school students who have completed the TN/VA Scholars course of study, a specific sequence of academic courses in math, science, language arts and social studies. This rigorous course of study in high school helps students become successful and prepared for college and the workforce. 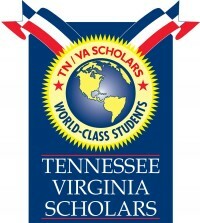 The Tennessee/Virginia Scholars program is managed by the education department of the Kingsport Chamber and guided by a council. The program is an affiliate of the Tennessee state scholars initiative. Courses and policy are set by the State Tennessee Scholars program council at the Tennessee Chamber of Commerce and Industry. Originally called AIM Scholars, this was program developed for application by business and education coalitions, which was based on a combination of two programs utilized by the Greater Longview Organization of Business and Education (GLOBE) and Great Expectations-Great Rewards both from Longview, TX. 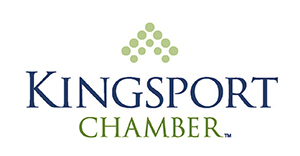 It was brought to Kingsport in 1994 and organized through Eastman's education initiatives until 1999 when it became a program of the Kingsport Chamber of Commerce. In 2006, AIM Scholars changed its name to Tennessee/Virginia Scholars and transitioned to an affiliate of the statewide scholars effort. Parents are crucial to the student's success in the Scholars Initiative. In the eighth grade, each student will prepare a state-recommended high school four-year plan with the help of his or her parents and counselors. Parents should work with the counselor to help their children meet TN/VA Scholars course requirements. Most importantly, a parent’s encouragement and support are essential in helping a student succeed in this challenging academic program. Donate - The Scholars program is funded solely through contributions of businesses and individuals. Donate today or encourage your company to contribute to this workforce development program. Today's students are tomorrow's future. Volunteer – Business leaders are sent into the schools during the students, 8th, 10th and 11th grade years.